Google has announced that they will count HTTPS as a ranking factor which means if you using HTTPS you will get a higher position in search results. This will automatically increase your Google rank. Thanks to CloudFlare Free SSL feature that allows you to use HTTPS on your blog. SSL (Secure Sockets Layer) is a standard security technology for establishing an encrypted link between a server and a client. In simple words, it creates a secure layer between your server (Website) and user (web browser). To get your site over HTTPS you need to buy SSL certificates from the providers and install them manually on your server. Installing manually sounds quite a techie. So, here is a good news for those who wants to use HTTPS on their WordPress blogs. CloudFlare provides free universal SSL certificate that does the exactly same job and it’s easier to setup. It’s a free certificate, and also works with Free CloudFlare accounts. Without paying extra money. Go to Crypto from the top menu bar. Choose Flexible SSL in SSL option. It will take minimum 10-15 minutes to activate Flexible SSL. Once it activated from CloudFlare it will show green ACTIVE CERTIFICATE below as shown in the above picture. 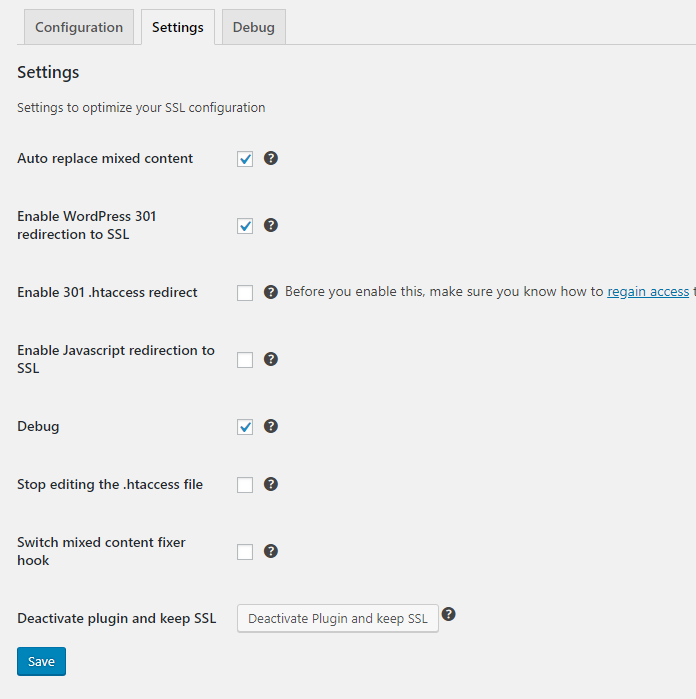 To prepare your WordPress blog for Cloudflare’s flexible SSL you need to install the following plugin. This plugin is essential for enabling CloudFlare’s Flexible SSL on WordPress. It will prevent infinite redirect loops when loading WordPress sites under CloudFlare’s Flexible SSL system. After installing CloudFlare Flexible SSL plugin activate it and go back to your CloudFlare’s dashboard and add a page rule. 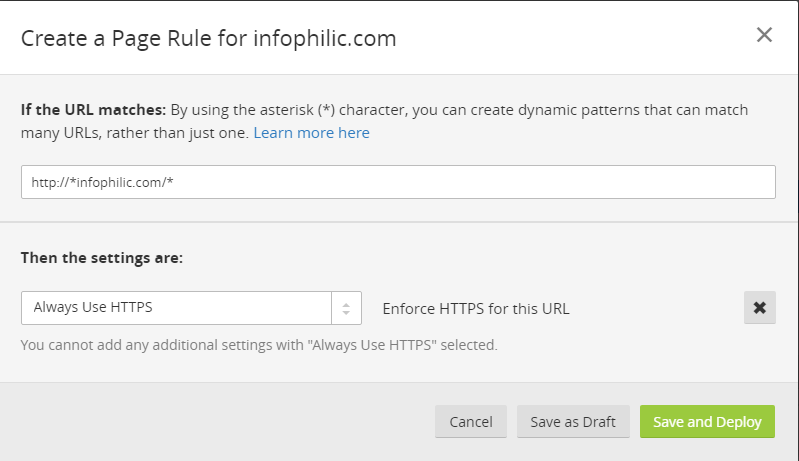 In setting choose “Always use HTTPs”. It will enforce HTTPS for all the URL. Check the following picture showing page rule. Adding * at the beginning tells CloudFlare to process all the subdomains over HTTPS. * at the end tells to process all sub-directories. 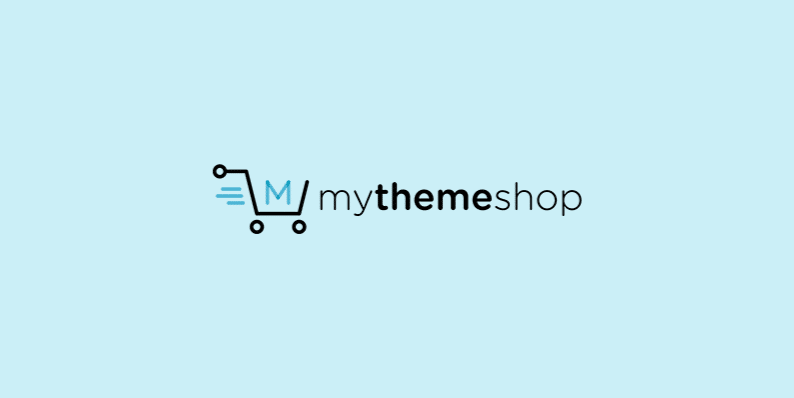 Note: Don’t change WordPress address, keep it as http://yoursite.com. If you change your WordPress URL to “https://“, it will break your site. Visit your website in a browser and see if there’s a green lock showing on the top left of your address bar. If it’s not showing a green lock, it’s due to mixed contents. This happens in rare cases. It’s because some of your plugins or links are not in HTTPS format. Don’t panic if you facing this problem. I got a solution for this too. Just follow the steps. That’s it, now check your website on a browser, you will see the green lock with “https://” at the beginning of your site URL. This is how you can use CloudFlare Free SSL on your WordPress blog. Hi Amit thanks for the Tutorial. i have a question, which one do you think is the best? Let's Encrypt free ssl or Cloudflare SSL? I would recommend using CloudFlare's SSL. it is really amazing post, i have complete this setup on my blog using your post, thanks for sharing helpful information. “Access denied” when testing HTTPS site in Google’s Structured Data Testing Tool after activation of Cloudflare SSL in my WordPress blog. Make sure, you’re not blocking any Google bot to crawl your site. Do you have both http and https version on your Google Webmaster tools? Try to temporary disabling WAF protection if you’re using any. Seems you’re blocking Google bots on your site. Hi, I’ve created a new domain on my web host via cpanel. Then signed up for cloudflare, set the crypto to flexible, and pointed my nameservers to the ones required by cloudflare. Then I get the “A trusted SSL Certificate was not found” error. Should I change the protocol to http… install wp… then install the plugin to fix everything? Thanks. After enabling Flexible SSL from Cloudflare, it takes some hours to initialize SSL certificate. So you can either wait or continue installation without SSL and then move your site to SSL. I have setup clouldflare ssl certificate to my website all the things working fine. i have create my own email id in cpanel it was successfully created and send mail to anyone . but i can’t receive email. anyone send me mail to that time show aunthanticated. Using Cloudflare SSL should not affect your mail accounts. Most of the time they are hosted on different server. May I know who is your hosting provider?